Congratulations! You attended the Hofstra Career Fair on March 28th! That’s a huge step forward in the networking process and in your search for a job or internship. Over a hundred prospective employers were there. 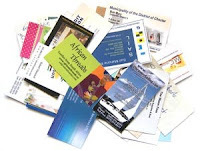 You gave out your resume, had conversations with recruiters and now have a pile of business cards and company brochures on your kitchen table. So what happens next? Since you probably made some face to face connections with company recruiters and decision makers, it’s important to stay organized and keep track of all your potential job leads. Take those business cards you’ve collected and jot down notes about your specific conversations. Now create a document that keeps track of all this. Make sure to include the recruiters’ business card information and notes about your discussion. Also, once you’ve applied to a position, update this document with the date of your application and the specific position you applied for. It’s important to follow-up with the recruiting contacts you met. 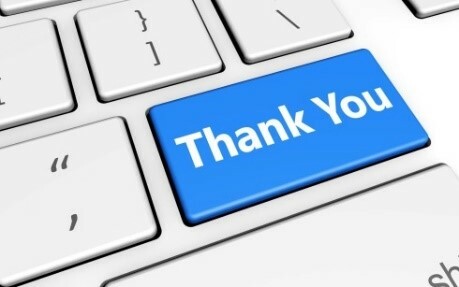 Send a “thank you” email, letter or make a phone call. The format you use is not as important as “just doing it”. It’s best if you follow up within a day or two after the career fair. Recruiters see a lot of resumes every day so they might not remember you if you wait longer than that. 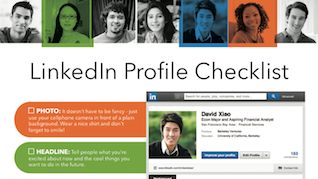 Update your resume and LinkedIn Profile to reflect your most recent skills and experiences. Make sure they are as professional and impactful as can be. - Reach out to past employers, supervisors, and professors and as for LinkedIn recommendations. - Make an appointment with a Career Advisor in the Career Center if you need assistance with this process. - Then ‘connect” with company representatives you met at the Fair. Always write a personal note when sending a connection invitation. You can also “follow” companies you are interested in as well. Based on the response from the recruiter/human resource manager, you can send an email occasionally to touch base and let them know you are still interested. 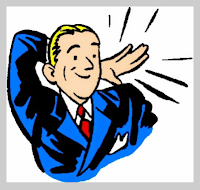 Update them on any of your significant accomplishments or inquire about something newsworthy happening at the company (do a google search to find current company news). Remember to ask them to keep your resume on file for future opportunities. - Was I prepared? Remember you can research companies that are coming to the career fair in advance. Prepare specific questions you can ask. - Did I have an effective 30 second elevator speech for introductions? Use the Career Handbook (online at hofstra.edu/career) as a guide to writing your elevator speech. And then practice, practice, practice!!!! - What did I do well and should I have done differently? Make a list of the things you would like to improve upon and the steps you need to take to get there. There is always plenty to do once you leave a career fair. But pat yourself on the back for attending and remember to be in contact with The Career Center soon so we can continue to support you and provide helpful advice along the way. Looking forward to seeing you at The Career Center!